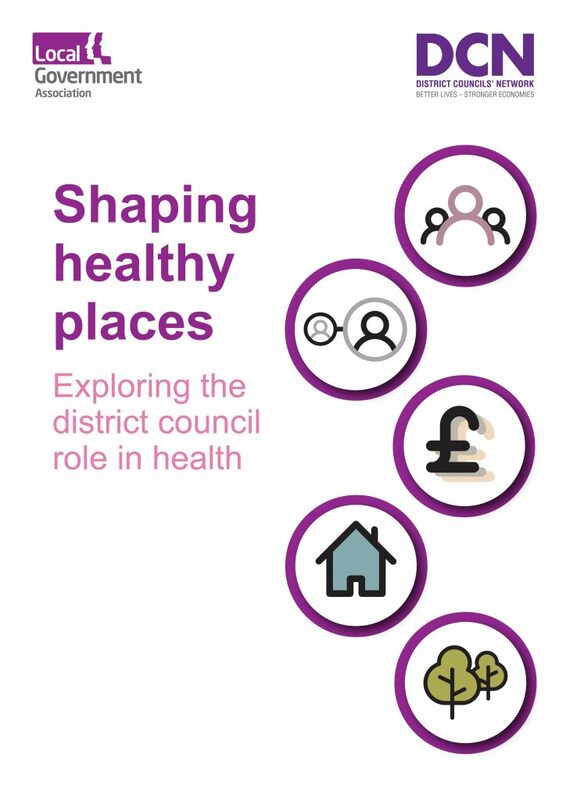 DCN and LGA report "Shaping healthy places: exploring the district role in health"
This publication presents 10 case study examples showing how district councils have improved the health of their local areas. The beginning of the report offers a short contextual discussion of the impact of the social determinants of health and ways in which district councils can influence health. You can read the full report by clicking the image above or by using this link. We have also created an accompanying animation below which outlines the district role in health. If you would like a copy of this video, please get in touch with the DCN team at DCN@local.gov.uk.